We have good reasons to beam with pride. 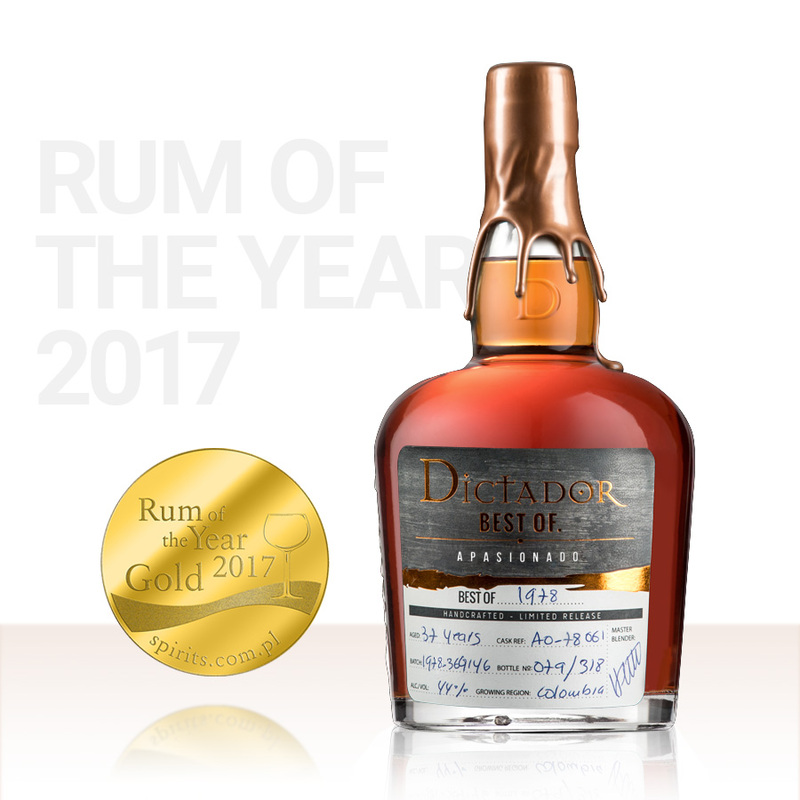 Our Dictador Best of 1978 has been awarded a gold medal by Spirits.com – a reputable specialist website on exquisite drinks, their history and characteristics. Good news to start the new year! Dictador Best 1978, a limited rum from Dictador’s private collection, has been recognized by the discerning palate of the Spirits.com spirit connoisseurs. The website is a credible source of information (and inspiration) about alcoholic beverages, both popular labels and emerging drinks. Dictador’s Best 1978 distinct flavors of chocolate, cherry, tobacco, tea, and ginger, as well as its long finish, have been deeply appreciated! Hoping for more news like that throughout the year!